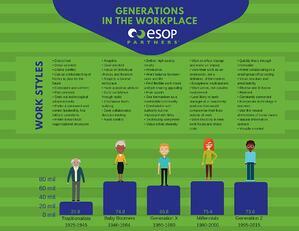 A multigenerational workforce will be a strong asset to reach your company vision and goals. Every business must attract and retain each generation in the workforce – and be able to get them to work together. Download our infographic for an easy-to-read-and-remember guide for work styles of the different generations in the workplace. To request your free copy of this infographic, simply complete the form!